HOUSE IS CURRENTLY GOING THROUGH AN UPDATE! 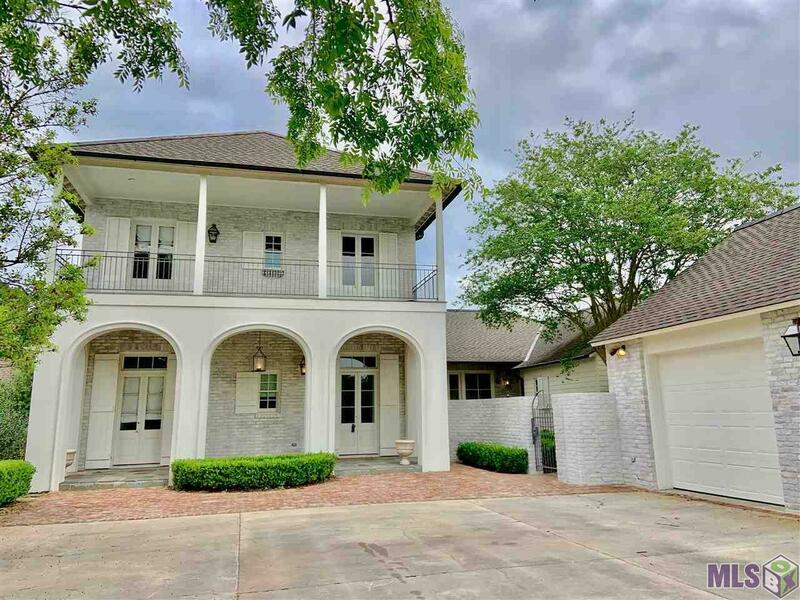 New "fashionable" white-washed brick finish to a very classy âAl Jones" GOLF COURSE FRONT home. Recently updated by the previous owners (home is vacant, pictures are from previous owners interior) and custom built with the quality materials and craftsmanship that you expect in home of this magnitude. Master bath will have all new solid 3cm stone counters and tub surround, touches of new lighting throughout, new oversized clad windows are on order for windows with "foggy" look. Front oversized holly bushes are being moved so that the home has a beautiful street appeal. The fabulous curved staircase with hand-forged railings is seen as you enter the 32 x 15 foot entry foyer featuring antique wide heart of pine flooring. The living room opens to the dining room and foyer featuring a modern walk in bar and views of the courtyard and golf course. The home features lots of floor to ceiling windows with incredible natural light. The huge kitchen/keeping has magnificent flagstone floors, two islands, white Quartzite countertops, Wolf commercial stove, Sub-zero refrigerator/freezer, and an oversized fireplace. The custom laundry room is by Ultimate Storage. There are two special half baths and a downstairs guest suite with an adjoining study (could be a fifth bedroom). Upstairs is a full size landing for lounging and two generous sized bedrooms each with its own bath. The oversized master bedroom, with golf course views, has a large master bath with an oversized handicap shower and two walk-in closets. Other features include a three-car garage, convenient guest parking, and panoramic views from most rooms. This home will be a showcase in 30 days or less!